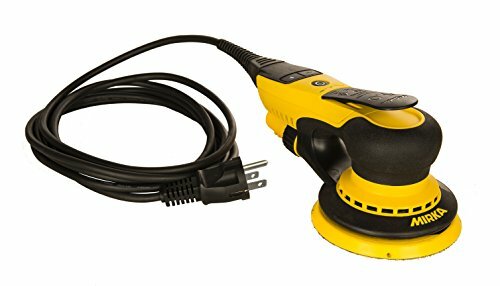 the first random orbital electric sander using advanced brushless DC motor technology, without the need for an external power transformer. Performance unequaled by any competitive electric tool can now be found within reach of any standard 110 volt outlet. Sanders are vacuum-ready using multi-hole backing pads with hook and loop attachment. DEROS features digitally controlled variable speeds from 4,000 to 10,000 rpm to provide the ideal finish for a variety of applications.